A local Facebook Group to connect with Child Passenger Safety Technicians (CPSTs) to discuss car seat safety and have your questions answered. GREAT information relevant to Canadians, as well as tech-approved car seat suggestions to fit any car, child and budget. The information you’ll need to check for recalls will be located on a sticker on your car seat. The sticker lists the date of manufacturer and model number of your specific car seat. Buying and installing a child car seat or booster seat, recall notices, safety and testing information. The Child Passenger Safety Association of Canada is a national, not-for-profit corporation formed in 2011. 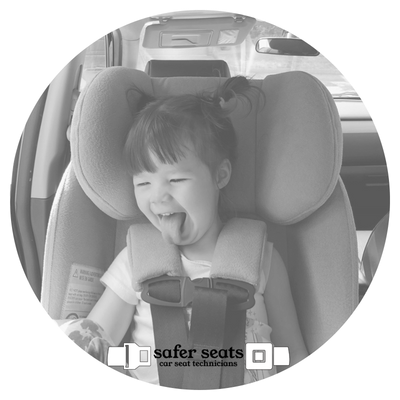 Its members promote child passenger safety through public education, advocacy and training in children’s restraint systems (car seats and boosters). Parachute, a national Canadian charity founded in 2012, promotes researched, evidence-based and expert-advised resources and tools that can help to prevent serious harm or death from preventable injuries. Disclaimer: This website is intended for information purposes only and should not replace the advice of your vehicle/child restraint manufacturers. Due to the ever-changing nature of the car seat industry, information here is presented as up-to-date to the best of our knowledge, but is subject to change.